Probate (Proved) His will was proved by his widow, Eliza Thurley, on 17 November 1887. 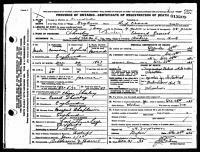 Canadian Census 1901 He appeared as the Head of the Household in the 1901 Canadian Census in Gilbert Plains, Marquette, Manitoba, CanadaBG. 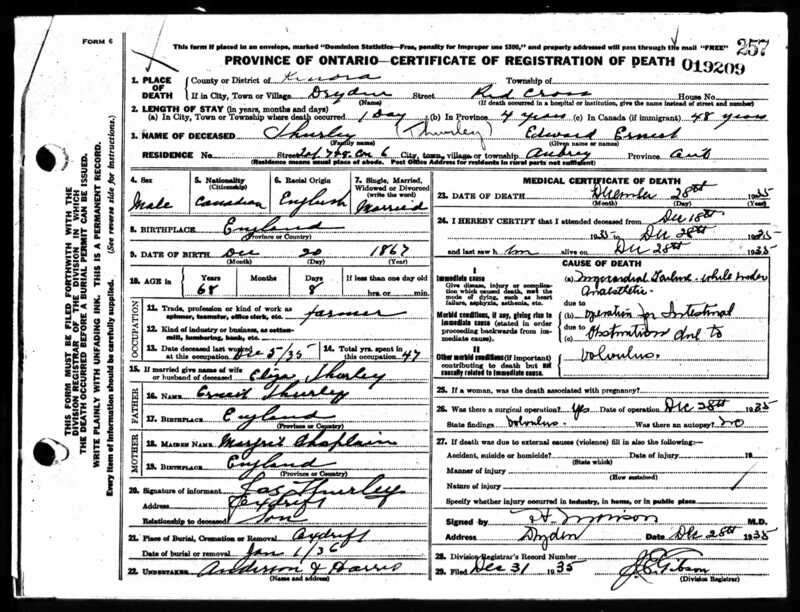 Canadian Census 1906 He appeared as the Head of the Household in the 1906 Canadian Census in Gilbert Plains, Marquette, Manitoba, CanadaBG. Occupation In 1901 James Arthur Thurley was Booking Clerk in Wandsworth, London EnglandBG.